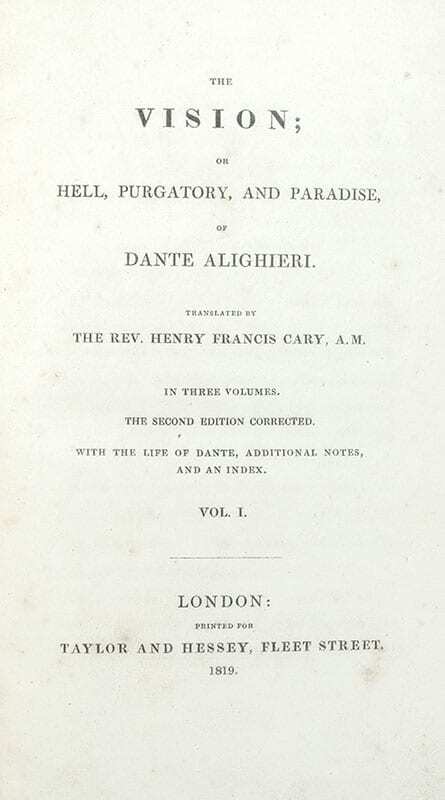 The Vision; or Hell, Purgatory, and Paradise, of Dante Alighieri. With the Life of Dante, Additional Notes, and an Index. 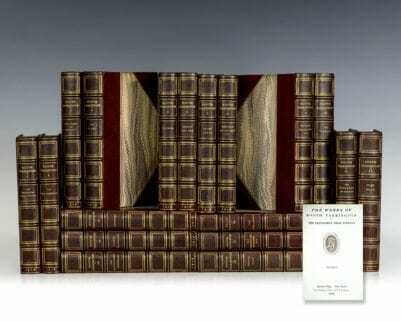 London: Taylor and Hessey, 1819. Second corrected edition of Cary’s translation of Dante’s Divine Comedy, considered by William Blake to be “superior to all others” (Smith, 393). Octavo, 2 volumes, bound in three quarters morocco, gilt titles and tooling to the spine, burgundy spine labels, marbled endpapers. In very good condition. A nice example of this important translation. 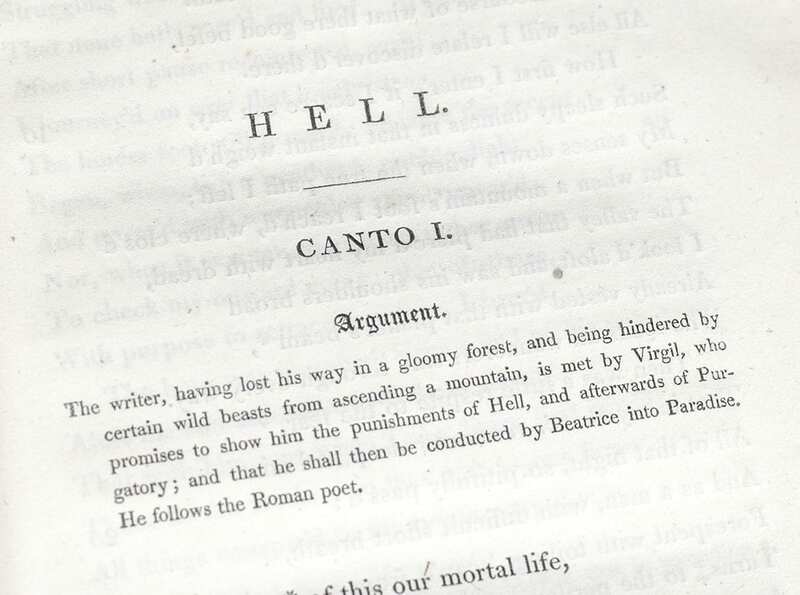 Published at his own expense, Cary's initial translation of Dante's Divine comedy was commercially unsuccessful until the work came to the attention of critic Samuel Taylor Coleridge in 1818. 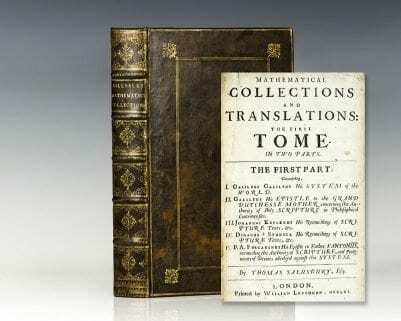 Colerdige's high praise of the translation prompted the sale of nearly 1,000 copies of the work, necessitating the publication of this second edition a year later in 1819. Second corrected edition of Cary’s translation of Dante’s Divine Comedy, considered by William Blake to be “superior to all others” (Smith, 393). Octavo, 3 volumes, bound in full contemporary calf, gilt titles and tooling to the spine, burgundy spine labels, double gilt ruled, inner dentelles. In very good condition. 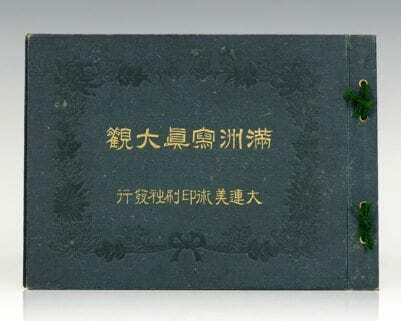 A beautiful example of this important translation.